A new book says Tulsa, once nicknamed Terra Cotta City, has America’s third-best concentration of the architectural form. Over my years of writing about Oklahoma music, I’ve gotten into a lot of conversations about the exceptional quality of Tulsa’s musicians. Often, they’ve led to a question: Is Tulsa really something special, or does every city of any size have its own unique sound and musical legacy? Despite all the examples to support Tulsa’s standout contributions to the popular-music scene, the evidence ends up far more qualitative than quantitative; that is, it’s impossible to calculate just exactly how much noteworthy Tulsa music has been made over the years, especially in comparison to what’s been created in other cities. It just can’t be measured that way. There is, however, an art form that can: Art Deco, that striking decorative style from the 1920s and ’30s. 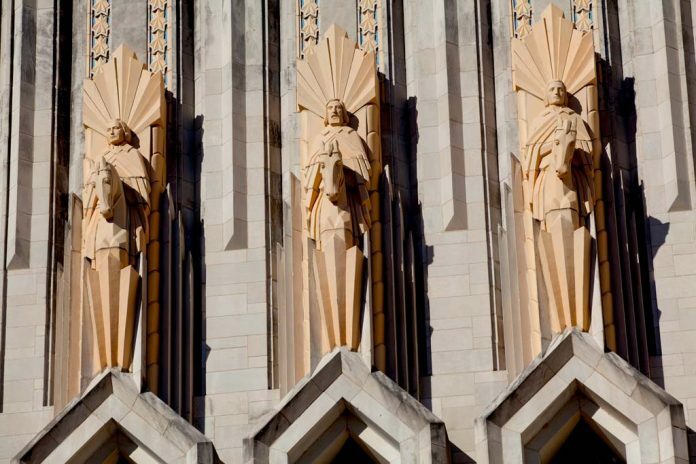 And, according to the new book Art Deco Tulsa (History Press) and its author, the veteran writer and editor Suzanne Fitzgerald Wallis, Tulsa is exactly the third-best place in the country to find still-standing Deco architecture. Joyner and Wallis spent much of the past couple of years tracking down as many examples of the style – or, actually, the three styles, as we’ll see in a moment – as they could find around the city. Some, like Boston Avenue Methodist Church, the Mid-Continent Tower and the Union Depot, are well-known examples. Others are less well-known. And some, unfortunately, are long gone, with little indication that they ever existed. Those styles, according to Wallis, are zigzag, streamline and PWA; the last stands for the Public Works Administration, a federal government project that gave architects, builders and construction workers much-needed employment during the Great Depression. 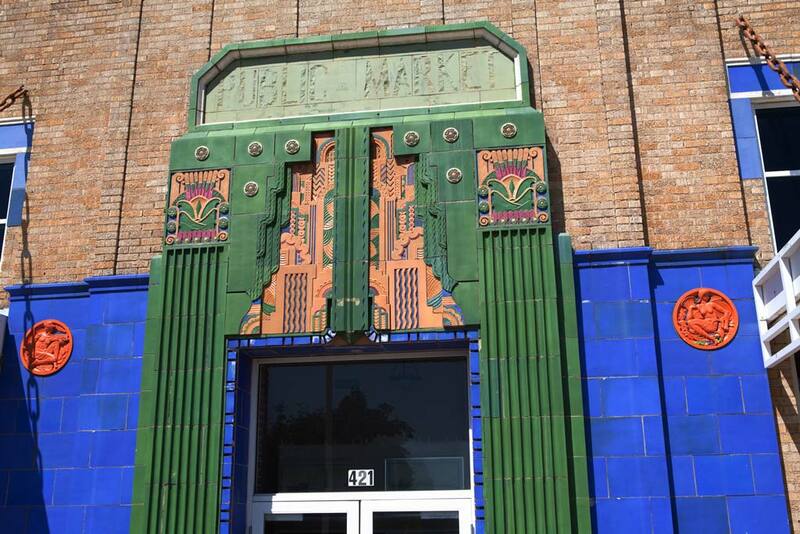 The OLD Warehouse Market ON EAST 11TH STREET IS AN ART DECO TREASURE SAVED FROM DEMOLITION. Photographer Joyner says, “The best way to look at streamline is to see some examples, like the City Veterinary Hospital out on Peoria [Avenue], which has all those glass bricks. Phoenix Cleaners is another one. Nothing, of course, is really permanent. But some things survive longer than others, and Wallis and Joyner are vitally interested in not only preserving what’s left of the city’s Art Deco architecture, but also helping stoke the revival of interest in the form. Wallis has seen this happen before; books written by her husband, Michael Wallis, who contributed Art Deco Tulsa’s introduction, have been widely credited with sparking renewed interest in the highway once known as America’s Main Street. (With Michael, Suzanne co-edited 1993’s Greetings from the Mother Road: Route 66 Postcards and co-authored the 1996 collection Song Dog Diary: 66 Stories from the Road.) Like Route 66, Art Deco went through a good long period where, if not exactly forgotten, it was taken for granted or overlooked. Wallis gives credit to many other Oklahoma-based advocates, including the now-deceased architects Herb Fritz and Rex Ball, for keeping Art Deco in the local public eye over the years. 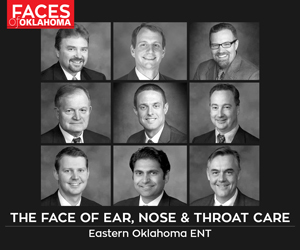 Perhaps Art Deco Tulsa will end up as a catalyst for such an institution. Meanwhile, there’s plenty for Deco fans to appreciate between its covers. For his part, Joyner snapped some 500 photos, 144 of which ended up in the book.